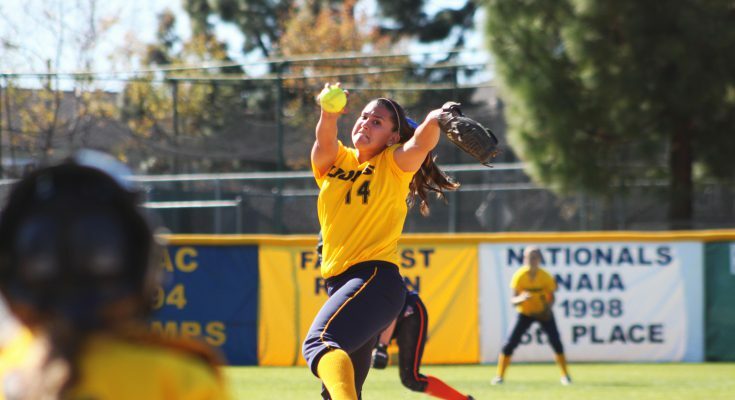 Stacy Salazar pitches for the Lions. The softball team has recently begun its 16th season under head coach Beth Renkoski. The Lions have started out with six straight wins and seem to have a promising road ahead of them. 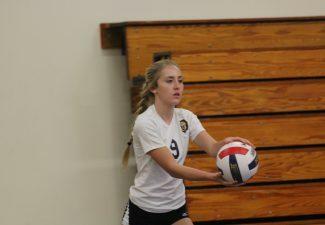 The team looks to improve upon its previous season’s record, which did not live up to the team’s expectations. The Lions finished a mere 4-16 in league and stood at 26-32 overall. This year’s team has potential and chemistry. “I have high expectations for the team this year. We are a pretty young team with potential to do great things,” senior infielder Libby Archer said. The Lions have only three seniors on the roster: Archer, pitcher Stacie Salazar, and pitcher Emilee Reaber. The team looks for production throughout the lineup this season in order to succeed. “Everyone contributes on the team. We all play well together,” Salazar said. The youth on this team can give the team leadership for years to come as well as the playing experience necessary to succeed and give VU a winning season and program. “This is the best team chemistry we have ever had. In all four years, there has been nothing like it,” Reaber said. The Lions sport eight freshmen, which have given the team a whole new look, and one sophomore transfer. Half of the team is composed of new players, giving a promising outlook for the future for talent, leadership, and game time experience. 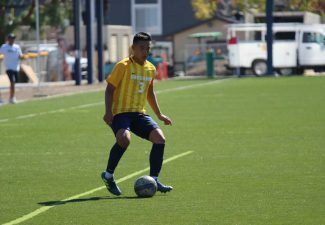 The main obstacles that stand in the Lions’ path this year are teams such as cross-town rivals Concordia and Biola, even though Vanguard considers all GSAC teams strong and capable. 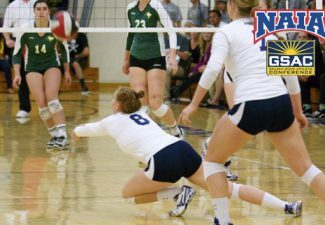 The Lions played a tournament in Las Vegas this season, where they faced teams such as Cal State San Marcos and Grand View University. However, Vanguard does not start league until March 13 against Biola and that game will be played on the Lions’ home turf.